Center Ossipee, NH & Oak Hill, FL – Raymond Edward Varney, 83, of Center Ossipee, NH & Oak Hill, FL, passed away on Monday, January 21, 2019 at his home in Oak Hill, Florida. Raymond was born on May 27, 1935 to Ernest & Ethel (Chase) Varney, in Effingham Falls, New Hampshire. Raymond grew up in Center Ossipee and attended Kennett High School in Conway, New Hampshire. 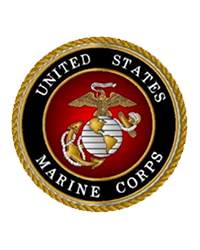 In 1953, Raymond enlisted in the United States Marines. He served his country in many locations including South Carolina, Puerto Rico, California and was stationed for 18 months in Honolulu on the Island of Oahu in Hawaii. Raymond was honorably discharged while serving in California at Treasure Island in November of 1956. In the Marine Corps they say, “Once a Marine, always a Marine!” Raymond epitomized this. Upon his return to New Hampshire he was employed as a truck driver. He worked for many companies in both New Hampshire and Connecticut. Raymond worked in various capacities including construction and hauling forestry products and freight. He was employed by Audley Construction during the construction of both Interstate 93 and Interstate 495. He was later employed by Timber, a forest products company, and thereafter for International Paper for 19-years. After retiring from International Paper, Raymond owned and operated Varney Trucking, where he traveled throughout the United States hauling freight before retiring in 2001. In true truck driver fashion, Raymond loved communicating over the CB and was known Maine to Florida by his CB handle “Steppinwolf”. He met many friends throughout his truck driving career by communicating over the CB. During the mid-1980’s Raymond developed a passion for motorcycles and motorcycle adventures. Raymond and his fiancée, Bonnie Millett loved traveling to many different destinations on their motorcycle with their mini-camper in tow. They spent over 30 years together, and shared a lifetime of memories. If they were not traveling by motorcycle, you could find Bonnie in the passenger seat of one of Raymond’s trucks, traveling as his co-pilot. In the mid-1990’s Raymond and Bonnie purchased a home in Oak Hill, Florida. They initially shared their time between Center Ossipee and Florida before retiring and permanently residing Florida. Together they enjoyed the sun, warm weather, time with friends and adventure. Raymond had many passions in life. He will forever be remembered for his gift to gab, great sense of humor, his smile and his ability to strike up a conversation with anyone. In fact, he often said, “I’ve never met a stranger I didn’t like.” He loved his family, enjoyed BBQ’s, time spent with friends, flea markets, yard sales, motorcycle rallies, vintage car shows, Nascar Races, live music, photography and pets, especially his beloved sidekick and faithful companion, Dixie. Most of all, Raymond loved adventure and his passion for it never ceased. 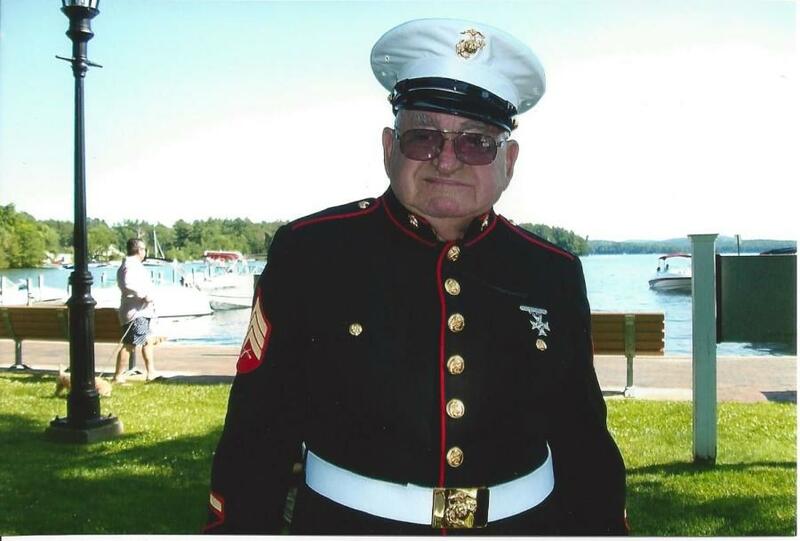 While in his 80s, he never missed an opportunity to travel back to NH, dress up in his Marine Corps dress blues for weddings, proudly drive a log truck in the 4th of July parade, or make a late night trip to Bobby Sue’s for ice cream. Most importantly he never stopped laughing, joking and having fun. Raymond will be missed dearly by his family and friends. He was predeceased by his parents, Ernest & Ethel (Chase) Varney, his fiancée, Bonnie Millett, his faithful and beloved sidekick, Dixie; his brothers, Ernest Varney, Jr., Bruce Varney and David Varney. He is survived by his sister, Patricia French; his sons, Joseph Varney, Kenneth Varney and Frank Varney; as well as his daughters, Cynthia Libby, Judith LaRosa and Deborah Fucci. He also leaves behind many grandchildren, great-grandchildren, nieces, nephews and many, many friends, including his long-time dear friend, Bertha Tyler. Calling Hours will be held on Thursday, February 21, 2019 from 4:00PM to 6:00PM at Lord Funeral Home, 50 Moultonville Road, Center Ossipee, NH; and a funeral service will be held on Friday, February 22, 2019 at 11:00AM, at the First Congregational Church of Ossipee, 50 NH Route 16-B, Center Ossipee, NH. Burial will be held at a later date in the Woodland Cemetery, Hobbs Road, Effingham, NH.